I’m a foodie and know what I like. Does that mean I have the ability to hire a chef for my new restaurant? Matthew Vaughn said “Music is half the film.” So why are music budgets at 5% or less? And why are scores written after a film is shot? They never used to be. Would you ask a composer to write music for a play after it is staged and ready to open? Never. So why films? Film composers these days are selected the way that loan officers approved subprime home mortgages. Decisions without review of true underlying value. Now in film, substandard film scores permeate the marketplace. Composers are chosen based upon criteria such as how many credits, who do they know and are represented by, if they have a nifty library of samples for fake instruments, or have written music that “sounds like s0-and-so,” can we all get along, etc. But what does this have to do with the most essential factor – what is the level of compositional capability? I always heard that the smartest person in the room is the one that says “I don’t know, but would like to learn!” And learning in this instance is about tools for non-musicians to determine compositional capability. How can you tell the difference between one composer and another in a hands on manner? DIY – do it yourself. Make better decisions. NO RSVP REQUIRED. FIRST COME, FIRST SERVED SEATING. Composing music for film music requires a set of composition skills and talent beyond the training and education of expert film makers. Film makers make use of selection criteria that often fall short of determining factors important in the identification of composer’s capabilities. This two hour event in part one traces the history of how film composers were selected until the present, how the process has changed, and weaknesses that emerged. Part one will also cover the pros and cons of samples, live instruments, the combination, and the long term effects on the return on capital investment. Part two of the event will introduce new and specific tools and tests for determining compositional capability on an arms length basis. These methods, designed by composers, are positioned to enable those without musical training to make better decisions. Participating experts will include senior composers and teachers of composition, sound designer, and the leading European contractor of live film orchestra recording. It was a great honor to meet such wonderful young and talented composers. 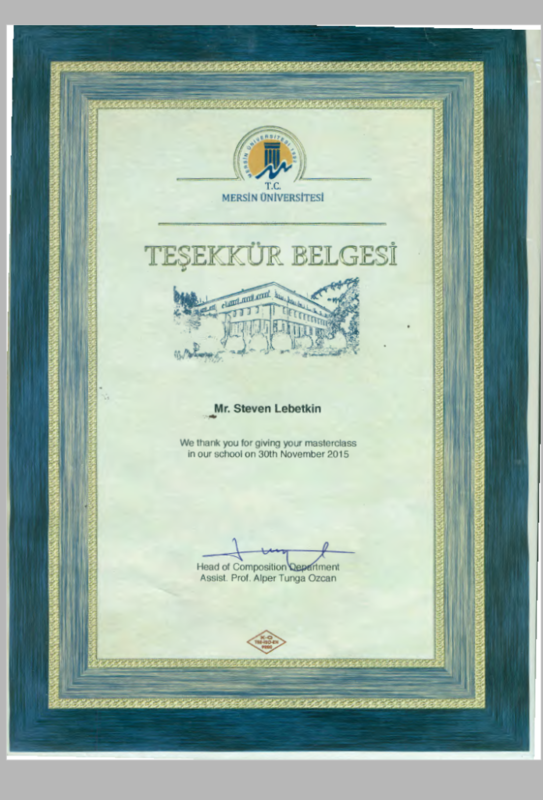 Composer Steven R. Lebetkin is traveling on a music tour throughout Turkey during the months of November and December 2015. 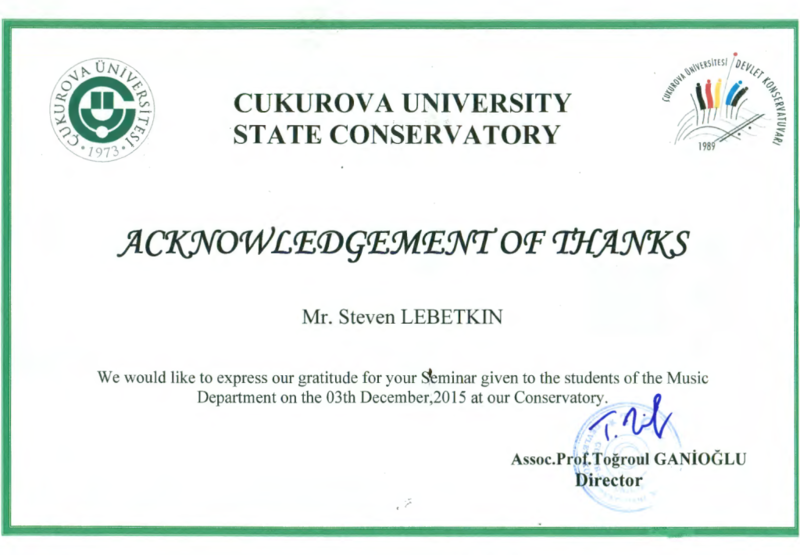 He will have the great honor of teaching three master classes in composition to Turkey’s leading composers. Musicians, performers, film professionals, dance and other members of the artistic community will attend and observe this open teaching forum. These masters classes are open to the public and are free to attend. The composition master classes will be held in Istanbul at Istanbul Technical Centre For Advanced Studies in Music (MIAM), Izmir at Dokuz Eylul University, State Conservatory, and Mersin at Mersin University, State Conservatory. 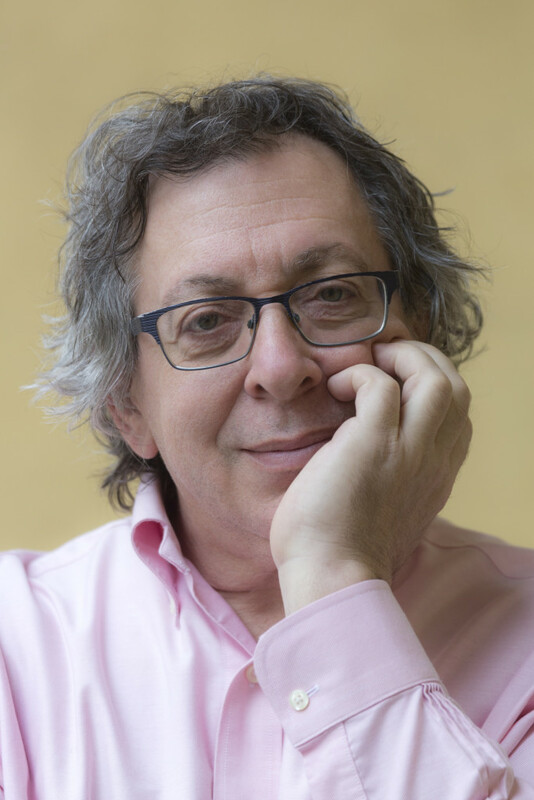 Lebetkin began his “What Makes Great Music Great” series at the Kingston Festival of the Arts during the summer of 2014, and now extends this series to composers in a class called “How To Compose Great Music in the 21rst century”. Each three hour class will feature a one hour lecture and examples on the compositional techniques rarely covered in university classes. 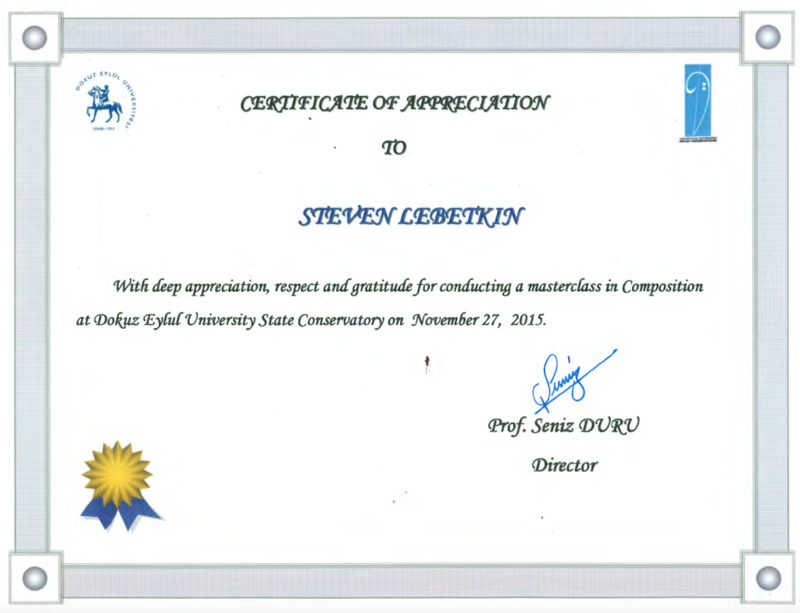 The lecture is followed by review and critique of composer participant’s music. Lebetkin’s tour ends with the world premier of Variations For Orchestra in Adana, Turkey performed by the Cukurova State Symphony Orchestra under the baton of Maestro Vladimir Lungu. The concert will take place on December 4, 2015 at Adana Metropolitan Municipality Concert Hall. The events will be recorded.